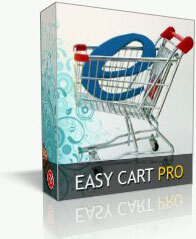 EASY CART PRO Package is a perfect solution for merchants with more than 5 products. A professional store and shopping cart with up to 20 products and UNLIMITED categories. If you are trying to establish a professional web presence or sell multiple products online, this is the solution for you. This package is perfect for those customers who wish to scale their business. You select a layout which matches your design needs. We install all the needed software, setup your layout and upload your products. All this can be done within just 2 weeks, giving your business the ability to sell online quickly! (WEB 2.0, SEO friendly), Configured for most current standards of web service. Population of your website’s keywords, title, and description that are important to search engines. 3 changes orders for updating content included. Can be used to finalize your site content before launch. Talk to your project manager to clarify any details up to two and a half hours total. Quality Assurance review and publishing of your website. 30 minutes per month of assistance from a designer assigned directly to your account! We can do a new logo design suggestion for your website and do a couple of refinings of the suggested variant after. We will create a new logo design suggestion and 1 additional concept thereafter if needed. You also will receive a file with your logo in printing format (.eps, .psd) and web format (.gif and .jpg). We can change your website colors, including the header, footer, columns and body colors. It does not include structure changes or other design elements like images button shape changes etc. We can do a short (5-10 sec) Flash introduction movie in order to present your business in most attractive way or we can insert flash animated promotion or ad spot at the most important web site place. Fully integrated nice looking Image Gallery. Easy to organize and add your photos online. We set the forum software (phpbb) at your hosted site, slightly customize it's look and feel like colors and fonts and we also guide you during your first experience with your own forum. We can install PHPLive chat client and let your representatives start talking to your visitors immediately. We customize the chat buttons to fit your design layout. AutoFAQ allows you to place a frequently asked questions page on your site. It allows clients to ask questions directly on your site and submit them to you. You are notified by email that a new question has been asked.